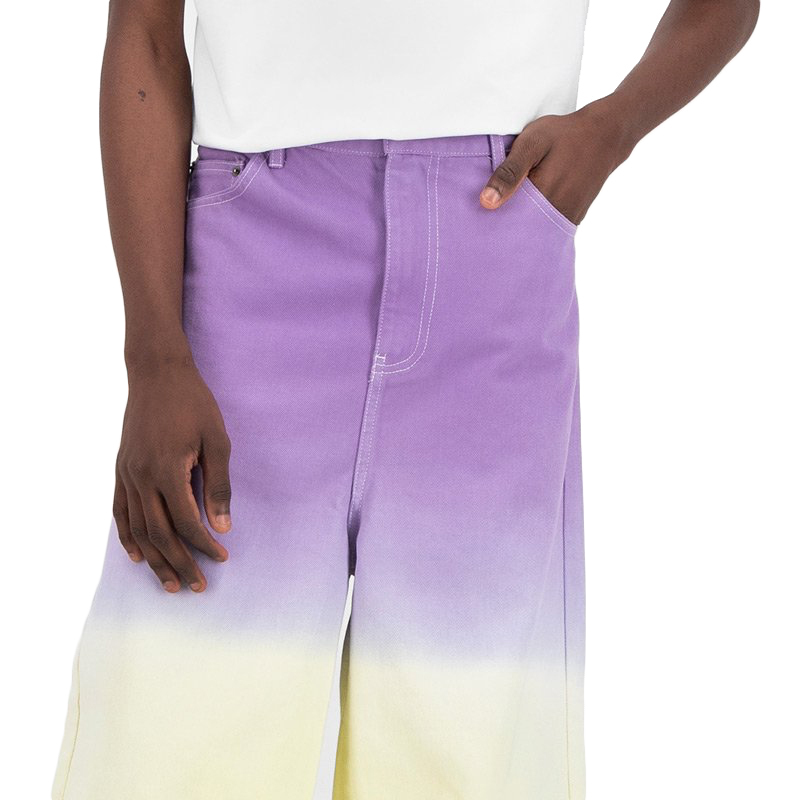 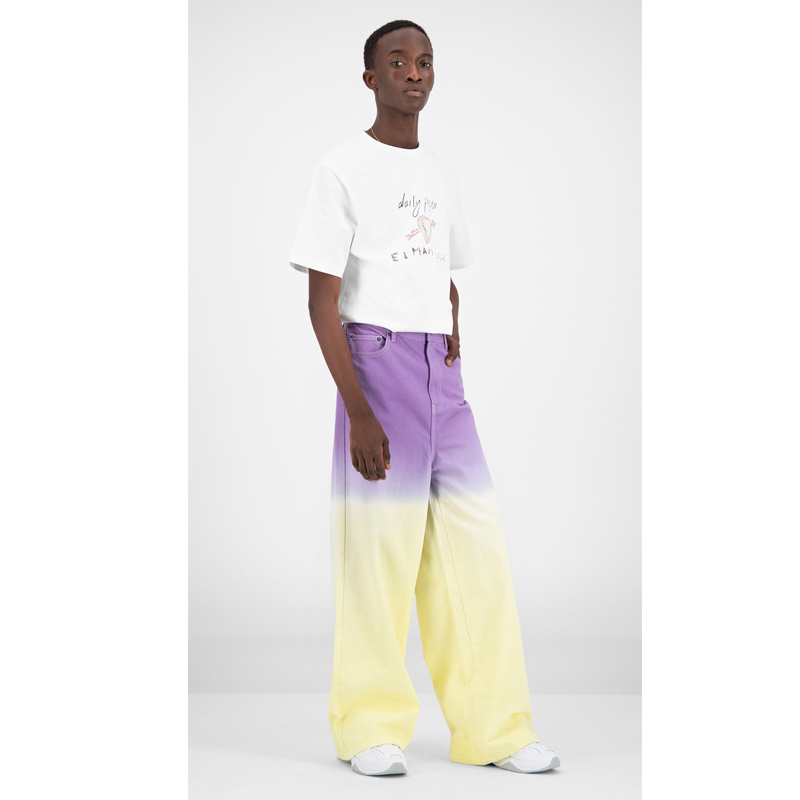 The Gradient Fidip pants are a contemporary take on wide-leg jeans and consist of a striking purple and yellow gradient dye complemented by contrasting stitching. 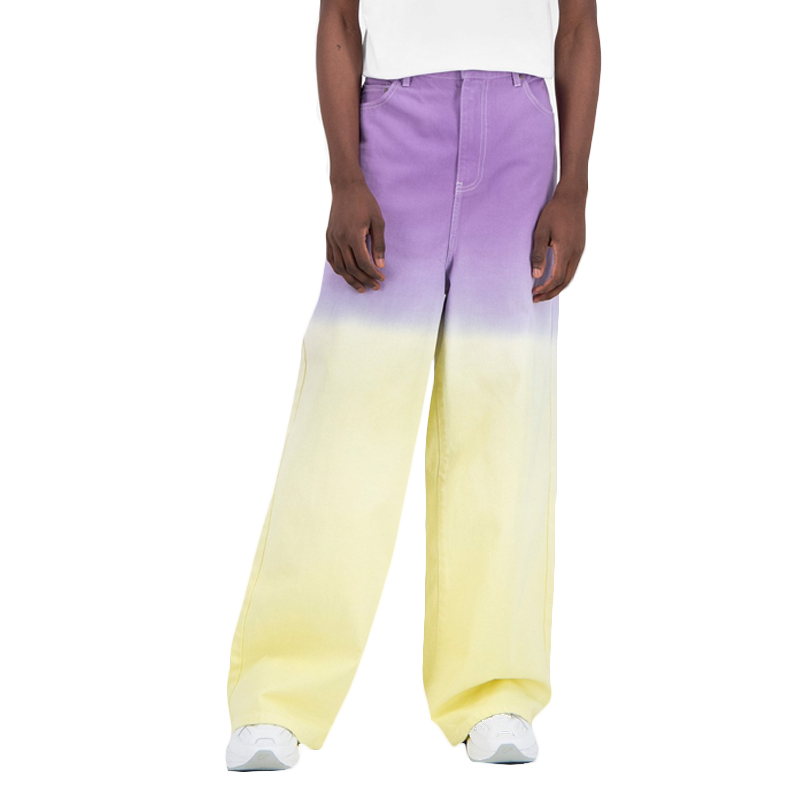 The pants with fitted top are high-waisted and have a palazzo-style bottom. 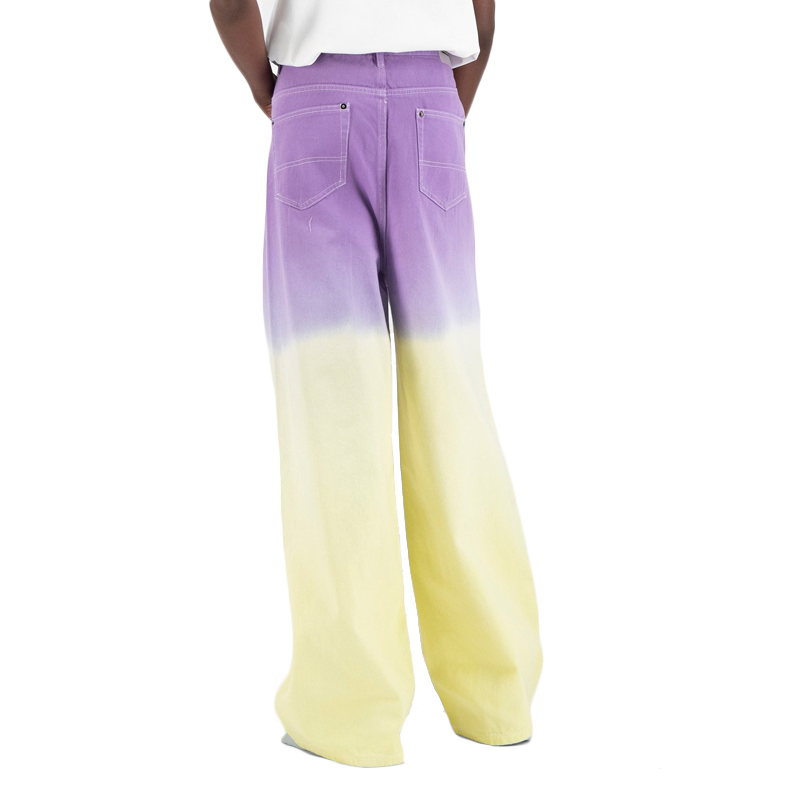 The pants have a classic 5-pocket style.